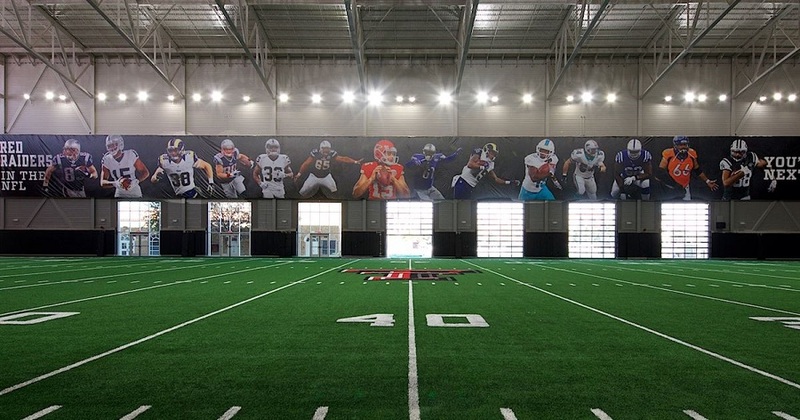 Have you seen the new Texas Tech University practice facility, The Sports Performance Center? Did you know Overhead Door Company of Lubbock™ was a part of this amazing new state-of-the-art facility? It's a beauty and includes a full indoor football practice field called the Peterson Family Indoor Football Practice Facility. Overhead Door Company of Lubbock™ installed the aluminum glass doors that roll up to open the indoor field to another practice field that's outdoors. 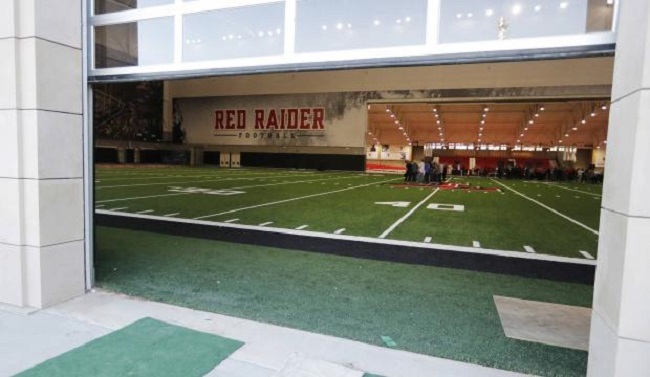 The Texas Tech website states, "The Texas Tech football program has been utilizing the Petersen Family Indoor Football Practice Facility since the start of preseason practices in August, providing head coach Kliff Kingsbury's team an indoor venue to practice in cases of high temperatures or inclement weather." The new facility isn't just for Tech Football but will impact all of their sports. 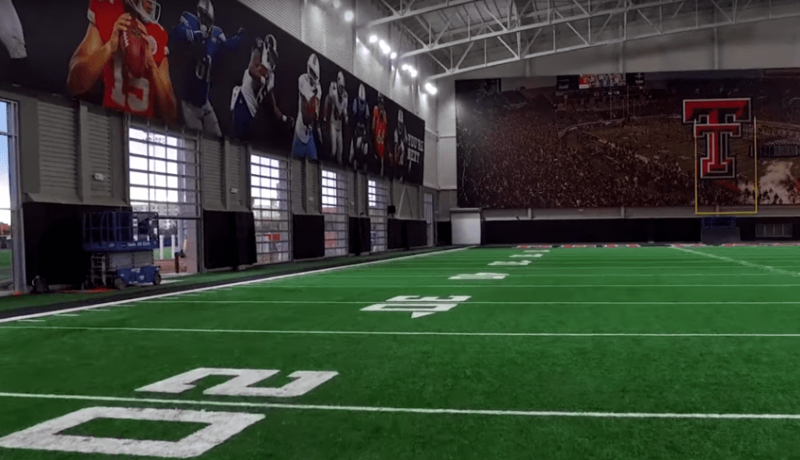 Tech's newest sports facility includes an indoor track, a weight room for strength and conditioning, sports medicine center and a nutrition center. "This is truly a remarkable facility," Tech Director of Athletics Kirby Hocutt said. "We could have never dreamed to build a facility like this without the vision and generosity of our most loyal donors. The Sports Performance Center will impact each of our student-athletes as it is one of the best training and competition venues in intercollegiate athletics today." The Model 521 Glass Aluminum garage doors installed in this facility allows easy access for players and coaches to the outdoor practice area. On nice days the doors can be fully opened and you can have practice simultaneously going on inside and outside. It gives visibility to what's going on in both areas. You can see some more photos in this tweet from Texas Tech Football last July. Our guys were finishing up the installation during the first practice of the season inside the new facility.